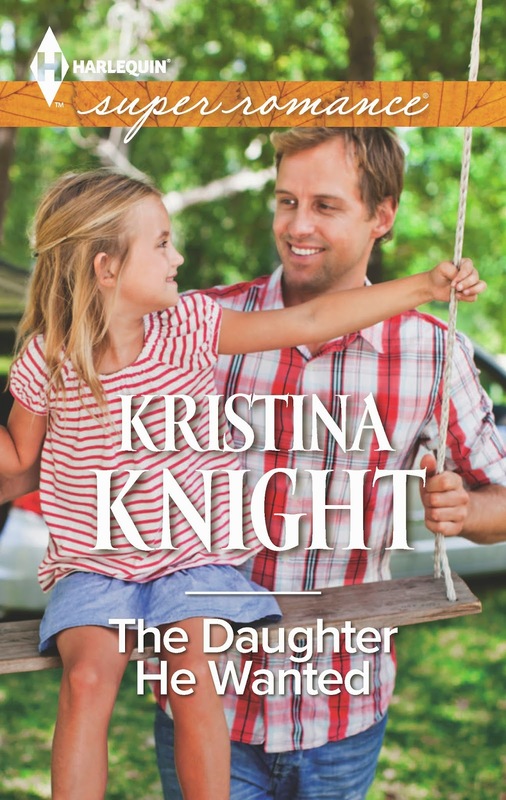 Harlequin SuperRomance Authors Blog: Disney World and Harlequin SuperRomance and Kristina Knight! Disney World and Harlequin SuperRomance and Kristina Knight! Hi, everyone! I'm back with my very first SuperRomance cover (gah, I love it!). The book will release all over the place in January (gah, how is January only 2.5 months away?!?) so I'm sharing it with you all. I was at Disney World when I got the news that I sold to Supers. I'd had this idea that I'd been playing around with for a while, about a woman who didn't want a man in her life but who did want a family. And a man who had wanted a family very badly and then lost everything. The characters kind of took over and the book wrote itself, a little bit. My agent and I talked about where to send it and SuperRomance was the first place we thought of. Fast-forward a few weeks, and my family and I went off to Disney World for vacation. The day we were at The Magic Kingdom, my agent called, but my battery was practically dead so I couldn't answer. A couple of hours later we were back at the hotel, the phone was charged enough to make a call ... and she told me that SuperRomance wanted not only that book, but two more. I was flabbergasted. Seriously. Flabbergasted. I knew I wanted Harlequin to buy the book, but I tried not to get my hopes too set on the idea...just in case! So as my agent is talking to me about options and the deal on the table, and my daughter is bouncing on the hotel bed, and my husband is watching the Atlanta Braves on TV, I'm sliding down the wall and hyperventilating a little bit. Thankfully my agent 'gets' me and she didn't freak when I couldn't really say anything in response to her questions...and how here we are seven months later and the book has been revised and edited and it's going through whatever it needs to to be a physical book ... and I have this gorgeous cover that is so much of what I wanted for this first SuperRomance. Since the loss of his wife, Alex Ryan has been living a half-life. But with one phone call, Alex discovers he's the biological father of a four-year-old girl, and everything changes. Single mom Paige Kenner preferred to have a family without the man. Now suddenly there's Alex, who desperately wants to be a father to her little girl. A gorgeous, kind and committed father. Letting a stranger into their lives is far too dangerous, especially if his presence stirs a part of Paige that she longs to forget. . . It is a sweet cover. Sounds like a great read. What a great call story. Thanks for sharing and best of luck with the book. You have me guessing, wondering how she could have his child and not know him. Wonders All Around Us or a Pile of Dirt?